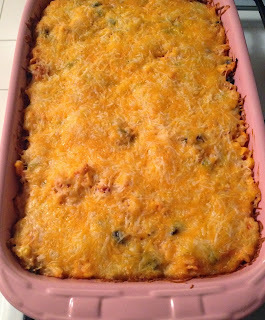 I love love love to make casseroles! I love that I can make assemble a casserole during the day and then pop them in the oven when John says he is on his way home from work! I love that I can pop a casserole before the girls' bath and bedtime routine, and the casserole is ready and waiting for me when I say "goodnight" to the girls. I love that one casserole feeds my family of four (2 adults, 2 kids) for two nights! I love that casseroles are always so warm and comforting! They are the perfect dinner meal for fall and winter! John and I eat a lot of Mexican inspired food. We love anything that has a spicy kick and incorporates black beans, cheese, and corn into the recipe! 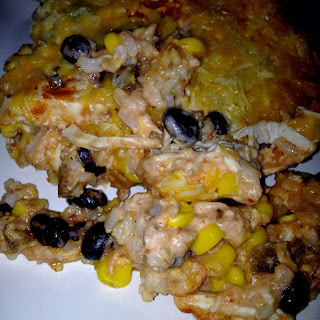 I make a lot of mexican inspired casseroles, like this enchilada casserole or this taco pasta bake! 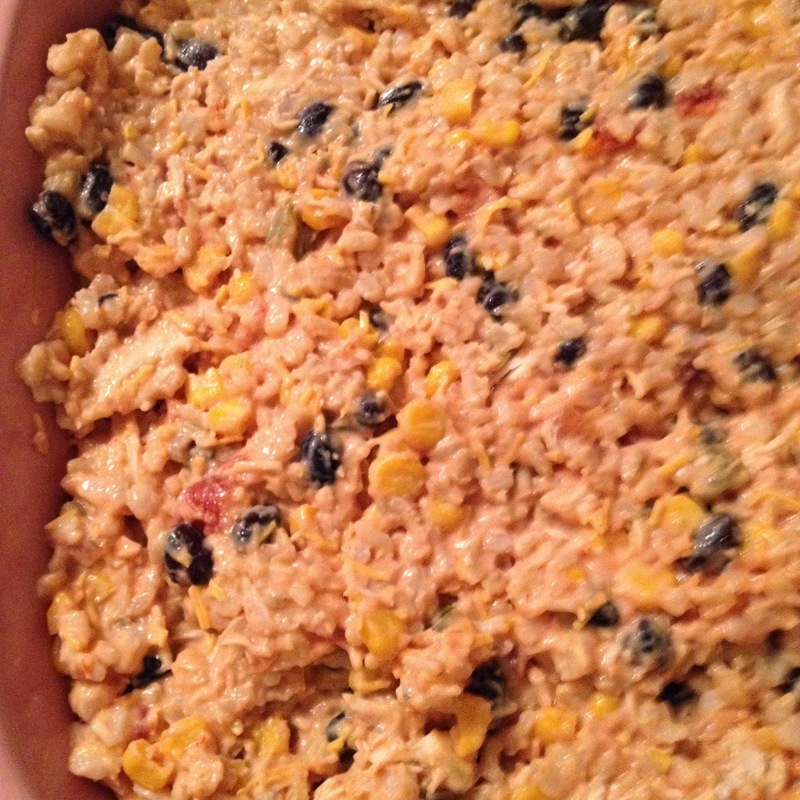 This casserole is a great way to use what you have, especially if you have leftover chicken and rice! As always, use what you have and make substitutions to fit your needs and taste buds! You can definitely kick up the spiciness with a hotter salsa or dial it down by using a mild salsa! If you don't have or don't like greek yogurt, you can use cream cheese or sour cream in it's place! White rice instead of brown works just fine, and you can put in any type of beans you like! Enjoy!! !